Stop & Shop Weekly Circular December 7 - December 13, 2018. Get Ready For The Holidays! 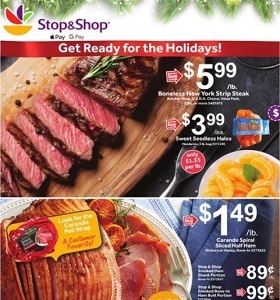 Stop & Shop Weekly Circular December 7 – December 13, 2018. Get Ready For The Holidays! -$6.99 Nature’s Promise Rotisserie Chicken; $4.09 Nature’s Promise Organic Yogurt.